So it looks like Beta Windy Valley has now been fully restored based on additional data from the Autodemo. Compared to the old version of the restoration, the camera is much better, additional objects have been ported, and the textures look more like the early screenshots where the level is seen. Combined with the Dreamcast Conversion mod (Windy Valley should be disabled via the Configuration menu before doing so), it feels like taking a trip back in time to the height of the Saturn era. Kudos to everyone who worked on it! I'm briefly logging in to heap praise on the Windy Valley release, because it blew me away. The spacious design and branching paths, especially in the third section, call back to the strengths of the classic games very well. Makes me wish the final game had been more designed this way, or even any other 3D game in the series. Anyway, great job with the restoration! Anyone have experience with SASave? Trying to edit some Metal Sonic times and it doesn't seem like they're sticking. As soon as I leave the tab, they reset back to the original value. For reference, my save is NTSC-J GameCube. More relevant - I decided to make credits images for ItsEasyActually's AutoDemo Windy Valley mod, based on PkR's HD GUI 2. It supports all languages in the vanilla game except Japanese. You can also make your own font by editing the font texture and character width/offset data. In theory it's also possible to add Russian, Arabic etc. by replacing the second half of the texture with characters from the corresponding codepage. The update supports ingame subtitles, the pause menu (redefine controls, exit confirmation prompt) and the character recap screen. 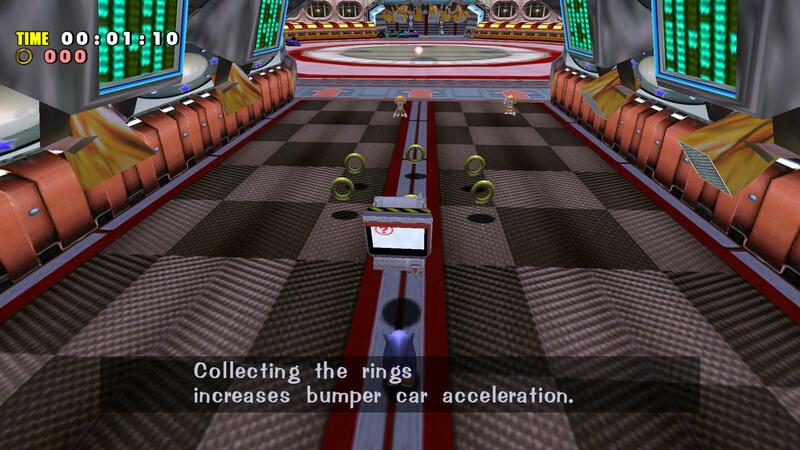 Chao stuff, such as the text used in Black Market or Chao Race Entry, is not supported. EDIT: The update has been released! Cool stuff. Continually polishing this janky but significant game is appreciated. I did notice that light shafts are missing from the Master Emerald being restored, and Knuckles witnessing Chaos 6's transformation with the Onion Skin mod installed. Is this just me, or is this known? Here's an alternative version of the Onion Blur mod that works around the issue. To elaborate on SF94's comment: this issue is an unfortunate side effect of a wider-scale fix that was originally required to get Tails' tails blur working in the first place. Before this fix was implemented, Tails' model had strange flickering, which we later found out was caused by rapidly changing lighting. SADX uses a queue system to render models that have transparent polygons. However, when a model is queued, the game disregards the light type the model was supposed to be using. As a result, if you queue any model with a specific light type (e.g. characters), it will have random parts that have the wrong light type. This is what was happening to Tails. There are several ways to work around this: for example, using the API provided by the Lantern Engine mod, we can force all character models to use a specific light type, which we did for both SA1 and SADX models. However, that wouldn't fix Tails when the Lantern Engine mod isn't enabled, and it still doesn't address the overall problem with wrong light types assigned to queued models. So SF94 made a fix that actually stores the correct light type when a model is queued. 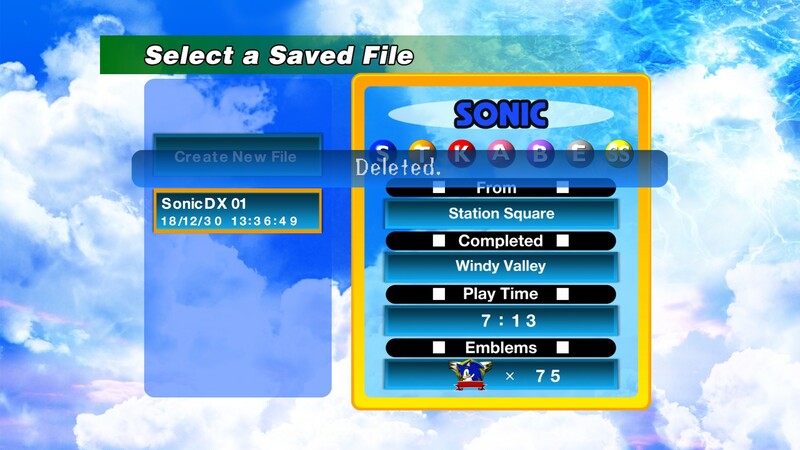 This fix required some changes to the queue system in SADX, and those disappearing effects are caused by some specific effects in the game not accounting for those changes. Now the light type problem shouldn't affect the game in any noticeable way if you're playing SADX with Lantern Engine and Dreamcast Conversion. Before SF94 found out what the issue with the queue system was, I went through the whole game multiple times and forced every model with "wrong" lighting to use the correct light type using SF94's Lantern API. I also submitted similar fixes for the Dreamcast Characters mod. So at the moment the presence of this fix is less critical than it was originally (again, assuming you play the game with DC mods). Before SF94 developed the light type fix, I made a fork of his Onion Skin Blur mod and reworked the way Tails' tails were rendered to avoid flickering. The workaround is extremely primitive: it just renders Tails twice, first rendering his model without the tails (and thus without the queue), and then rendering the tails separately. It's very clunky but it works. Since there hasn't been a fix for the missing effects for a while, and because the issue's been brought up a few times recently, after consulting with SF94 I decided to release my old fork of his mod as an alternative to the original mod. If the Onion Blur mod is updated to address the issue, this alternative mod will self-update to it. As a bonus, my version includes Knuckles' running blur. This one doesn't seem to work even in the Japanese version of SA1, so I took some liberties to make it look the way I think it works best. Downloaded. Can't seem to get Knuckles' feet to blur. Everything else seems to work appropriately now, though. As for the text mod, only one thing doesn't have the upgrade: deleting save files. I guess I lazied out on Knuckles' running thing thinking it looked good enough Please redownload using the same link, it should work the same way as Sonic's now. I also figured out the "Deleted" text and updated the HD GUI mod to include it too. EDIT: I may have spoken too soon about Knuckles. It looks like you have to be running really fast for the blur to kick in, but Knuckles almost never reaches the necessary speed. Looks like this is the case in all versions of the game, even Japanese SA1. I updated the mod again to make the blur trigger with the "slower" running animation. This is the initial stage of a mod that hijacks Sonic's code to render the SA2 model in its original format with its original animations. As you can see, it's got a few bugs to work out yet. I hope to have it finished by the end of the year. I don't want to sound greedy, but would it be possible to have the adventure 1 animations with the adventure 2 model, or are they just not compatible with each other ? They aren't compatible, but you could take the SA2 model, cut it into pieces, and import the pieces over the SA1 model. I made a really dumb mod.